The Hidden Kitchen is rather difficult to classify in terms of food outlets. Tucked away in the Rye/Tootgarook residential area on Mathis Avenue, it’s not quite a restaurant, but not a fast food outlet or milk bar either. And yet you’ll find all your traditional corner-store conveniences – from the local newspapers to bags of ice, even a post box! But it’s Bob’s specialty food offerings that’ll keep you coming back. Thursday nights bring in the Curry Club, with everything from the mild and creamy to rich and spicy. 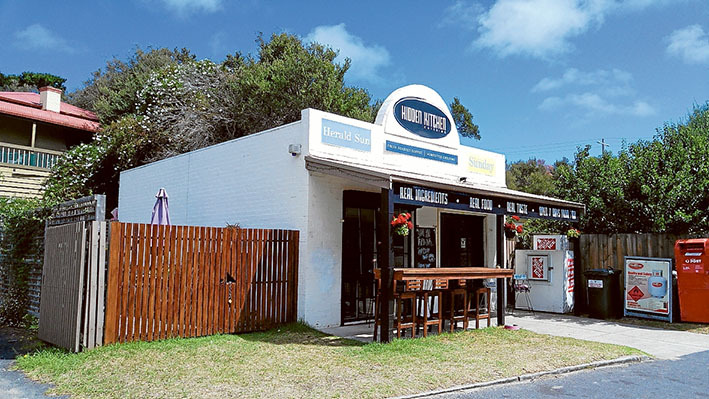 Unfortunately you’ve missed their five-star fish and chips, which have apparently retreated south for the winter but are sure to return later in the year. 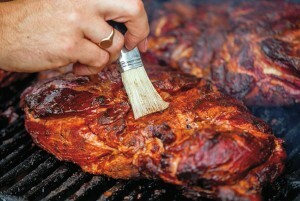 “Marinated overnight in our special spice rub, slow smoked over charcoal and local fruit tree wood shavings for roughly nine hours, hand shredded and mixed with a homemade barbeque sauce,” Bob’s BBQ pulled pork fills the village with scents of delight. No wonder he sets up the grill out front!